You gotta hand it to Jimmy Kimmel's staff: lately they've been doing a bang-up job of uncovering vintage clips of stars before they were famous. Last year Kimmel embarrassed Christoph Waltz by showing the audience footage of an appearance the Academy Award winning actor made on an Austrian children's show in the late '70s, complete with him sporting a knitted striped unitard and singing. 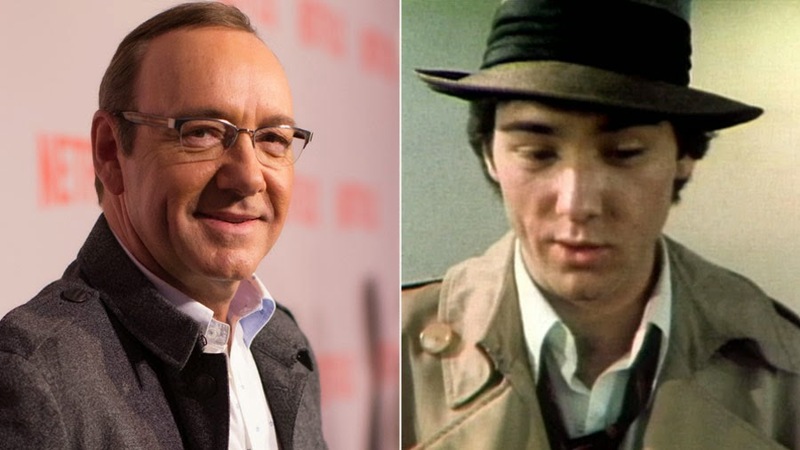 The other night, Kevin Spacey became Kimmel's latest victim of vintage goodness as viewers were treated to seeing a young Spacey audition for a 1979 Tiger Beat "Teen Idol Cattle Call" (hey, who says men are never exploited solely for their looks?) and as it turned out, there was a lot to learn from the brief clip. I've been a Spacey fan ever since I saw American Beauty. One of the reasons I admire him so much is because he didn't become an overnight success. For a two-year period after graduating from high school he auditioned for any kind of acting job available (including the Tiger Beat gig), attended (and dropped out of) Juilliard, and then worked his way through the off-Broadway and Broadway circuit before breaking into films. Now that's what you call style AND substance. He wasn't there for the money or quick fame; he was there because he wanted to launch an acting career he was (and still is) serious about. Also, you have to give him kudos for wearing the fedora. It wasn't just because he has always liked hats (and it would be three more years before Raiders of the Lost Ark was released.) It was most likely because he felt he'd be remembered for it after an audition ("oh yeah, the kid with the hat.") Maybe the Humphrey Bogart look wasn't--as Kimmel said--what the teens were eating up in 1979, but it definitely attracted the attention of the NBC producers who were there covering the story! The other thing I was reminded of from this footage and the resulting discussion Spacey and Kimmel had after it is the power of perseverance. Spacey said he was auditioning for everything during this time; even attempting The Gong Show doing his Johnny Carson impression (a trivia bit about him I did know about.) Unfortunately, he didn't make the cut; he got "pre-gonged." The world has been robbed of seeing Spacey on this iconic talent show, but fortunately he went on to accomplish bigger and better things. That's when I realized that life, for the most part, is often an audition. When you go for a job interview, you're on an audition. When you go on a date, you're on an audition. Not every person is going to "get" you and appreciate all of your talents and your uniqueness. And that's OK. The most important part is you have to keep going, you have to keep trying, and you have to keep auditioning until you get your big break and make it. Thanks, Mr. Spacey, for the reminder. And for the record, you would have been taped to my locker. This is great! Sage advice - keep it up and keep your eye on the goal. I loved Kevin Spacey in American Beauty, but Play It Forward, The Usual Suspects were great, too. One that I don't see mentioned is Consenting Adults (also with Kevin Kline). I absolutely loved him in that movie. I think that was the first one that hooked me on Spacey. 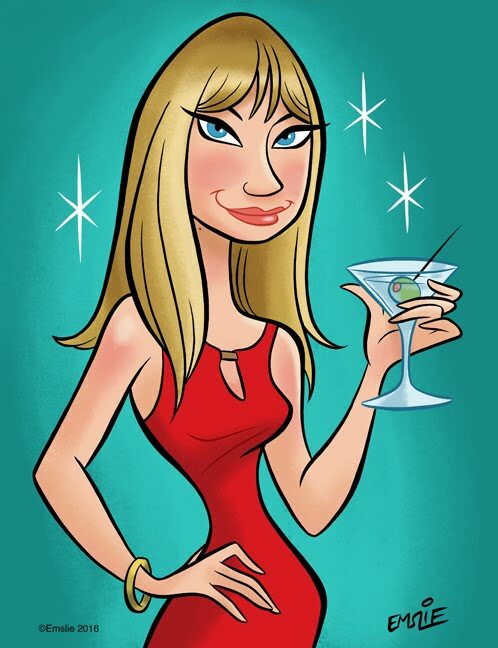 Hi Cherdo - I loved Pay it Forward and The Usual Suspects, too. Have you seen Beyond the Sea, his biopic of Bobby Darin? It was panned by a lot of critics and admittedly there were liberties taken with Darin's story, but overall I loved it and Kevin's portrayal. I saw Consenting Adults quite a while ago...he was creepy in that one...and had dyed his hair blonde!